Cecilia Åsberg, is Associate Professor in Gender Studies (Tema Genus) at Linköping University, Sweden. She is one of the Co-Directors of the permanent three-university centre for gender excellence, GEXcel International Collegium for Advanced Transdisciplinary Gender Studies. First to defend a dissertation in Gender Studies in Sweden, she has since published widely in the areas of feminist cultural studies, gender and science studies and environmental humanities. 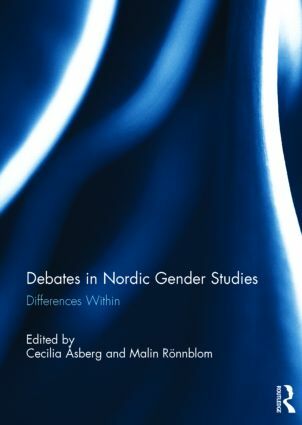 During 2010-2012 she was the editor, together with Malin Rönnblom, of the scholarly peer-review forum NORA: Nordic Journal of Feminist and Gender Research. She is the Founding Director of The Posthumanities Hub at Linköping University, Sweden. Malin Rönnblom is Associate Professor in Political Science and Senior Lecturer in Gender Studies at Umeå University, Sweden and Karlstads University, Sweden. Her research mainly focuses on critical policy analysis, urban studies and feminist methodologies.